An adorable card Bunny, a lovely design with super colours your cute image is adorable with a super coloured colourles and lovely details!! So cute! Thanks for playing in Bugaboo's challenge. Thank you so very much for joining in our latest challenge at Catch the Bug! I love your project. I hope you will join us again very soon! How very cute! Thanks for sharing this lovely creation in our Anything Goes challenge at Bugaboo Stamps this week. Good luck in the draw, and please join us again soon. This is SO cute, Bunny. You've really done an amazing job and the flowers are the perfect touch. Thanks so much for stopping by to share your talents wtih us in our Flowers and Ribbon Challenge. We hope that you will join us again soon. Wow!!! What a stunning card with pretty colours and embellishments. Thanks for joining in with The Ribbon Girl April card challenge. Good Luck in the prize draw. Awwww! What a darling card! 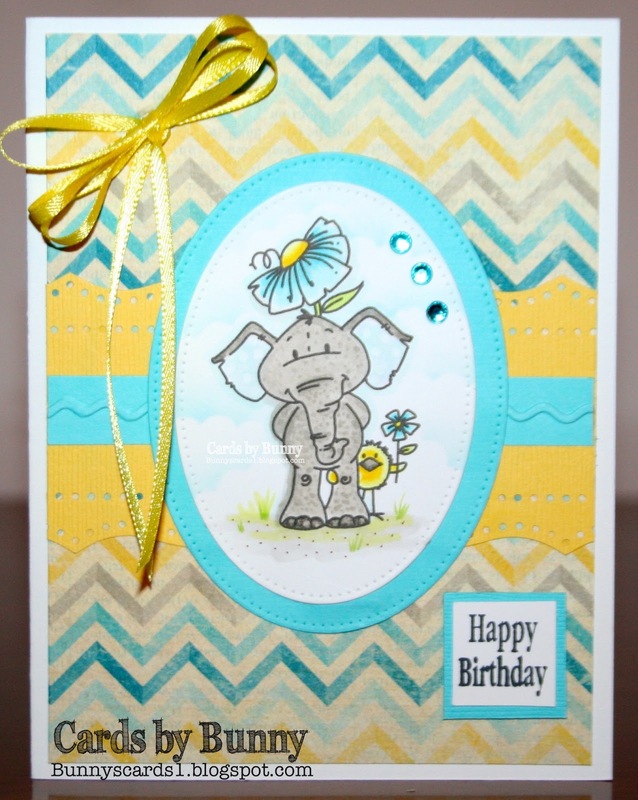 The color palette is perfect, and I love your layers of punched borders, too! Thanks so much for joining the fun at the Really Reasonable Ribbon Flower Challenge!